The United States has taken the global lead in 4G LTE adoption and this means that users stateside are getting the latest of gadgets with support for the ultra-fast network, leaving Europe trailing behind. But how long will it be until the Old Continent gets a widespread LTE network? 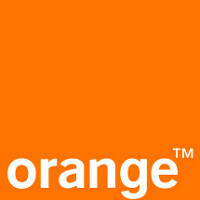 Orange, an operator active in most developed European markets, shared its plans to offer 4G LTE in the European market it covers by 2015. The carrier also promised to expand fiber to the home (FTTH) service coverage to 15 million households and 80% of French businesses by 2020. Orange is also bringing improved focus on NFC-based payments. In 2012 alone, the carrier plans on introducing France to 3 million NFC-enabled devices and the number will grow to 10 million in 2013. Another thing on its agenda is the cloud and green data centers will get a boost. While Europe gets the latest of 4G LTE coverage, probably equally important is Orange’s commitment to providing all of Africa and the Middle East with 3G. Just as the carrier promises to French businesses for FTTH, the same 80% coverage is promised for those regions. You might take in consideration that the speed of US LTE is very much similar to Europe 3G ;).